UPDATE: Explore video and photos from the Third Annual Southeast Asia Symposium on the 2016 Virtual Symposium page. The third annual LIASE Southeast Asia Symposium focused on topics related to culture and nature, broadly construed, in Thailand and Indonesia, while highlighting Indonesian culture and concerns in anticipation of our 2017 field course. The Symposium featured participants and Southeast Asianist scholars from universities around the Northwest, regional cuisine, an Indonesian gamelan orchestra performance, as well as presentations from students who conducted research as part of the LIASE sponsored field school and course of spring and summer of 2016. We were very pleased to welcome our keynote speaker is Professor J. Peter Brosius, an influential ecological anthropologist from the University of Georgia. Professor Brosius's work has had a significant impact on generations of environmental anthropologists and conservationists, as well as Southeast Asianists interested in culturally-based approaches to conservation in Malaysia, Indonesia, and throughout the region. His work is premised on the belief that anthropology has an important role to play not only in contributing to our understanding of the human impact on the physical and biotic environment, but also in showing how that environment is constructed, represented, claimed, and contested. 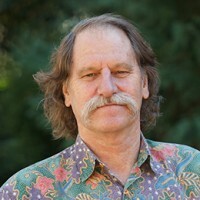 His talk was titled "Sea Gods and Social Movements: Environmental Activism in Southeast Asia," and spanned Professor Brosius's celebrated career, including fieldwork in Sarawak, Malaysia, multi-sited ethnographies in Southeast Asia, and his recent interest in the Tolak Reklamasi movement in Bali, Indonesia. Our student research panels featured presentations from undergraduates involved in our 2016 LIASE field school, who studied and conducted research on issues related to political economy, development, and conservation. Their projects involved a semester of study on our campus, with professor Nick Kontogeorgopoulos, as well as three weeks in a field program outside Chiang Mai, Thailand. Acts of Resistance: Sustainable Communities and Adaptive Natural Resource Management. Emma Casey, Damon DeGroot, and Keala Yang. 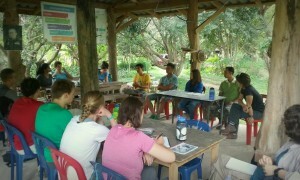 Organic Agriculture in Northern Thailand: Quality of Life and Economic Viability. A Changing Country, a Changing Landscape, and a Changing Generation. Lizzie Goulder, Amanda Johnson, and Tehva Kastel Riggan. Not Landless and Not Hungry, but Food Insecure: The Precarious Nature of Food Security in Northern Thailand. Rachel Greiner, Jonah Kone, and Megan Sanders. The Deforestation Dilemma: Causes, Effects, and Rural Responses. Coel Jackson and Neha Ketkar. We were very pleased to welcome Southeast Asianists from liberal arts institutions throughout the Northwest, who joined the symposium to discuss their research and pedagogy. The group of distinguished scholars focused on the role of "Southeast Asia in the Liberal Arts" by giving presentations that informally addressed questions related to their initial connection with the region, the focus of their current research, and the relationship between Southeast Asian area studies and the liberal arts professional context. 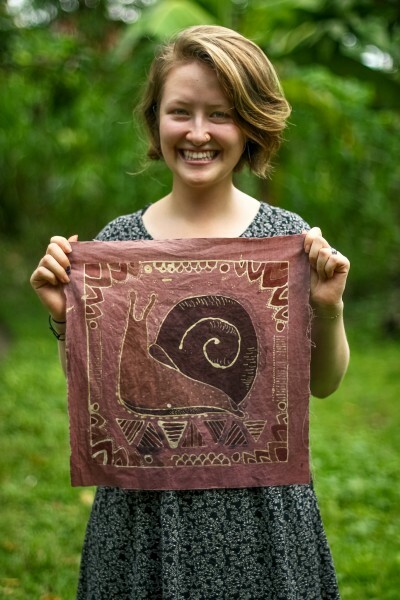 Sign up for a batik workshop here! We conducted two separate two-hour workshops for students and other members of the campus community interested in learning to make their own batik artwork. Participants created a simple batik on cotton in only two hours using the batik tulis method (hand drawn). Those attending the first workshop had the opportunity to do a second color dye during the second workshop. We were very excited to have a second keynote speaker this year, the internationally renowned Indonesian performance and graphic artist Arahmaiani. 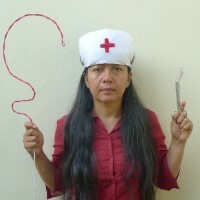 Arahmaiani is one of Indonesia’s most respected and iconic contemporary artists, and her work is internationally recognized for its powerful and provocative commentaries on cultural and environmental issues. In the 1980s and ’90s, she established herself as a pioneer in the field of performance art in Southeast Asia, although her practice also incorporates a wide variety of media, including video, installation, painting, drawing, and sculpture. In her artistic works, Arahmaiani questions the contradictions and paradoxes of her country through performances, installations, drawings, poetry, dance, and music, as well as most recently through participative projects developed together with social and religious communities. Her performances amount to protests against social injustice, violence, political corruption, and the woman’s position in Muslim society. Arahmaiani advocates as an artist an Islam that is open and tolerant, fighting to eradicate the violent and military-like interpretations of it in the Western world caused by radical Islamic groups. Her work has been exhibited throughout the world including Australia, Japan, Singapore, Germany, the Netherlands, and the United States. Her presentation was titled "Between the Mountain & the Sea." We were very pleased to welcome Gamelan Pacifica, an acclaimed ensemble performing contemporary and traditional Javanese music. Their performance is free, and open to the public. The group has performed extensively in the Pacific Northwest, as well as Canada and other parts of the U.S., and is among the finest ensembles devoted to the performance of music for gamelan in the U.S. Gamelan Pacifica is directed by noted composer and Cornish College of the Arts Professor Jarrad Powell. 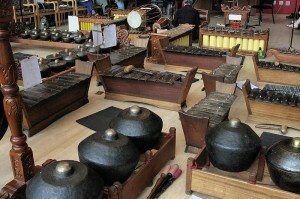 Originally formed in 1980, Gamelan Pacifica was among the innovators in developing the resources to create and perform gamelan music in the U.S. It is an active and adventurous ensemble, with a reputation for creating diverse productions merging traditional and contemporary musical forms with dance, theater, puppetry, and visual media.